Fireworks seemingly have the capability to fascinate people everywhere, while trouncing any language, cultural, or religious differences. 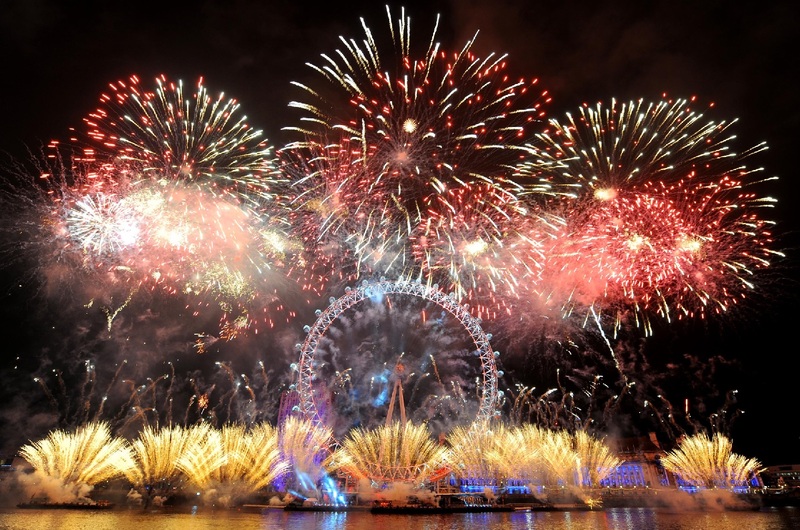 But the universality associated with the magnificence of these pyrotechnic displays is not the only aspect of their prominence that makes them so vastly interesting; they are scientifically remarkable! While one could talk for hours (if not days) on end in the aim of exposing all scientific aspects of something as seemingly ephemeral as a firework display, we are going to look at just one consideration as it relates to the world of engineering: the baseline fluid mechanics that describe the interaction of fireworks with the atmosphere around them. We will begin this by watching a quick video (below) produced by The Discovery Slowdown, as was found through an article on FYFD (you can find the original article that inspired this one through the link; pardon the blog title, the content is excellent). For the record, I have no idea what the deal is with the baby sloth in the beginning of the video, haha. From 0:14 to 0:30 in the video, you can see the uncontrolled combustion of the reactants used in the fireworks. This gives you a basic understanding of how this combustion takes place in the absence of any kind of container or packaging. When the reactants “burn” on the table out in the open atmosphere, the gaseous exhaust products (“smoke”) billow(s) upwards in a turbulent manner, with no real direction. From about 0:31 to 0:58 in the video, the combustion of the reactants is repeated; however, this time the reaction take place in a cylinder with the top end open. Now you have controlled combustion (with regards to direction) and the result is effectively a jet of exhaust products (and some still-combusting reactants) that fires out the end of the cylinder in a way analogous to the exhaust kicking out the back end of a rocket, providing it with its thrust. At 0:41, the video shows a closeup of the top of the tube, where the gases leave the confines of the tube and exit out to the air. As Nicole Sharp over on FYFD notes, this provides an excellent example of what we term an “under-expanded” nozzle. 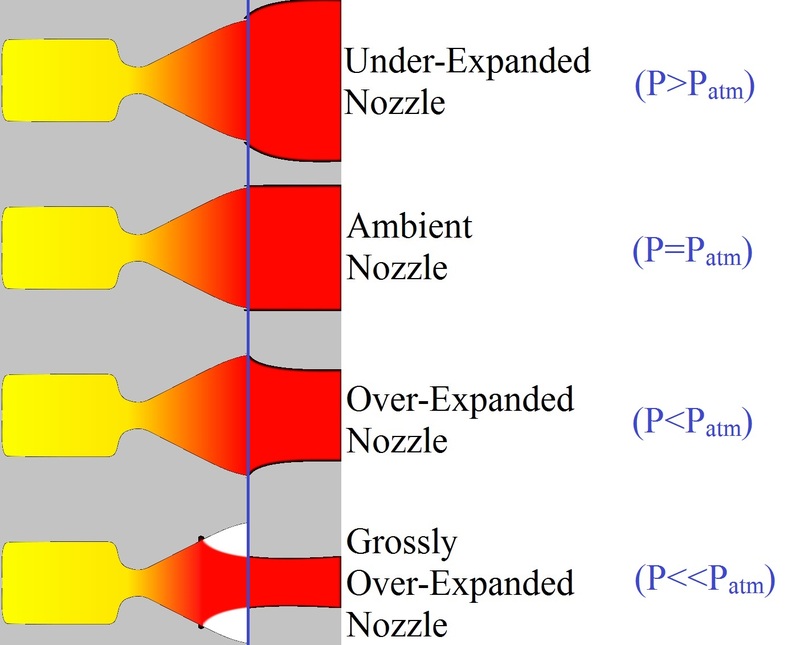 An under-expanded nozzle is simply one where the static pressure associated with the flowing fluid at the nozzle exit is greater than that associated with the atmosphere (P>Patm); in essence, the nozzle has not expanded enough to reduce the pressure in the flow to that of the atmospheric pressure, so when the exhaust gases exit the tube, they expand (or fan) outward rapidly in order to equalize their pressure to that of the atmosphere. There’s your first mini-lesson in rocket science! It also interesting to note how (at about 0:35) the tube jumps upwards as the gases leave. This is more than likely due to the fact that as this combustion occurs and the exhaust gases blast out of the tube at high speeds, they form a near vacuum in the tube behind them (by taking the contents of the tube and forcing them upwards, thus leaving a region of relatively low pressure behind the escaping gases in the cylinder). This vacuum, however, is not representative of a natural state; in essence, the air in the cylinder wants to be at atmospheric pressure, but instead it is at a pressure far lower than the atmospheric pressure. Once the bulk of the exhaust gases have escaped, the low pressure region immediately begins to collapse upon itself (thus increasing the pressure in the tube), but since the contents of the tube are still moving upwards, the cylinder itself is tasked with collapsing the region and thus is pulled upwards to decrease the volume in the tube between the cylinder base and the escaping gases! And so the cylinder jumps upwards towards the sky before gravity goes to work pulling it back down. So there you have it, there are some basic fundamentals of the way firework exhaust gases behave in different settings. During my next Well Read post, I will discuss how we can use science and engineering to analyze the behavior of the actual jets that shoot outwards from a firework and what charge parameters affect their behavior. Thank you for your support and please check back on Thursday for Andrew’s Presentation post! Great visualization through your explanation and nice lead in to applying this to understanding the application to jet propulsion. look forward to next article.